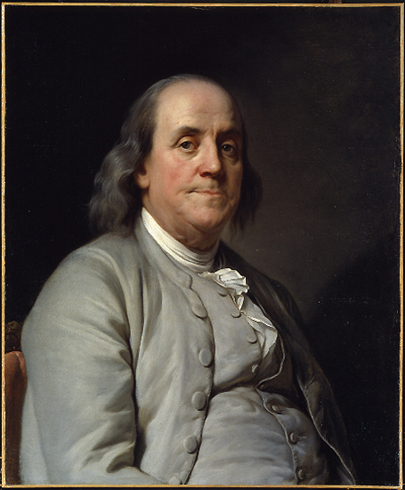 Ben Franklin was a citizen scientist. A prodigious renaissance man, Franklin independently crafted a myriad of inventions and scientific experiments. While this maverick scientist was an integral portion history of scientific discovery, a new type of “citizen scientist” is emerging in the current information era. Non-experts can now contribute to large-scale research projects by gathering and analyzing small bits of data, all from the comfort of their own home. While citizen science is a currently an efficient mode of completing certain types of large-scale research projects, its benefits are temporary. Eventually, computational algorithms will improve in speed and flexibility and thereby overcome any inadequacies compared to humans. Though citizen science has been around for centuries (see above photo), its usefulness expands as data becomes more massive and complex. Citizen science can be divided into two types: one in which non-experts perform small scientific experiments, and another in which ordinary people make small contributions to a larger, well-established research initiative. While the first category was more prevalent at the dawn of modern science (think Isaac Newton and Ben Franklin), the second type has gained significant traction in the past couple decades and will be the focus of this article. Research initiatives that recruit citizen scientists typically involve large masses of data. Since sifting through these data would be extremely time-consuming for primary handful of researchers, these projects “hire” non-experts to perform simple tasks that contribute to the project. The tasks do not typically require a substantial level of knowledge in any given area of study. Instead, they recruit people’s cognitive resources to augment the study’s computational power. Galaxy Zoo is one project that has struggled with a shortage of personnel in the face of the data deluge. GZ’s website invites the general public to classify galaxies based on telescopic photographs taken from The Sloan Digital Sky Survey. After passing a short tutorial, people can begin classifying as many galaxies as they want. The project — which began in 2007 — has racked up over 50 million classifications from 150,000 different people. Galaxy Zoo — one manifestation of citizen science — challenges its users to classify galaxies. While computers would offer a more efficient mode of completing such mundane tasks, current algorithms are not able to compete with the accuracy and flexibility of the human brain. Machine algorithms’ current incompetency stems from a variety of factors, with the most notable being a lack of annotated training data and insufficient flexibility. These deficiencies are especially noticeable in the case of classifying galaxies, given the subtle visual differences among classes of galaxies. The architecture of protein folding poses a similar computational problem: a protein’s three-dimensional structure is necessarily complex with many local energy minima, hindering a computer’s ability to reliably predict its structure. Foldit, an online game created by researchers at the University of Washington, attempts to solve this problem with the help of citizen science. Gamers manipulate the structure of a given protein on their computer screen until the proper structure is achieved, earning points for each correct submission. Avid Foldit players can even exchange their best strategies and tips, thereby further enhancing the project’s efficiency. When it comes to identifying patterns in galaxies or deciphering the folding pattern of proteins, human reasoning currently beats the best available algorithms for many types of data analyses. However, given the rapid increase in computational power and complexity, humans’ superiority in citizen science is only temporary. Citizen science’s current heyday spans a unique time in the information age that lies after rudimentary science but before all data analysis is purely computational. The folding patterns of proteins are still somewhat beyond the computational abilities of computers, so Foldit remedies this by allowing its gamers to earn points by folding series of proteins.